First and foremost, the most important tool in my writing arsenal is Pinterest. Pinterest is where I have a stash of writing articles I click on when I’m not sure I’m doing something correctly, a place where i find inspiration for when I’m just starting out and worksheets that help guide me along the way. I also have a very prized collection of facts, diagrams and infographics on things I know nothing about but I know I will need it somewhere, someday for some book I might write. I feel it’s important to mention that Pinterest is also where most of my valuable time gets sucked up. Pinterest is a fickle muse. When it comes to resource books for writers I have two that I refer back to time and time again. I have read and re-read this book, tabbed anything that sounded the least bit important, written notes on what I tabbed, and even created diagrams for me to use during the writing process. A bit excessive you say? Maybe but it has helped me immensely! So much so that I even purchased The Plot Whisperer Workbook: Step-by-Step Exercise to Help You Create Compelling Stories. I highly recommend this book if you feel you need help creating stronger plots. I picked this book out on a whim really. I took it with me on the plane headed to Denver and by the time we had landed I had splattered pictures of it on all my social media. I was in love by page 100. Not because it’s a witty easy read, in fact it’s the exact opposite. But because I realized what an amazingly in depth book I now had in my possession. This book has everything you ever need to know about building compelling stories, writing journeys and conflicts, devising subplots and dramatic situations and developing supporting characters that are vital to your story. The great part is it’s invaluable to whatever you write in whatever genre. By the time I was done with this book i had 59 tabs sticking out of the pages! 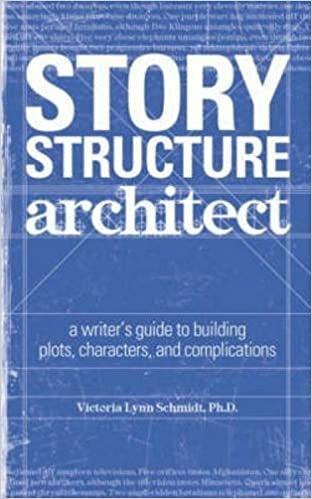 Even if you think you’ve got this writing thing down I urge you to read this book to get a better understanding of story telling in general. In order to have a strong structure that can withstand the test of time you need to first build a strong base for it to rest upon. When it comes to tools there is nothing as important as my Office 365 Word and OneNote program. I write all of my stories including all the revision through Word and I put all of my notes whether from articles online, books I read, or just from my mind through OneNote. In conjuction with my Microsoft Surface I can access, edit, and share any of those document from wherever I am. My outlining board is the ultimate creative tool for me. I am a very visual person and my board allows me to see my story laid out in one place. I don’t need to remember to pull up a specific file, I don’t need to memorize what type of scenes are in what chapter. All I have to do is look up and there it is in all of it’s glory. If you want to read about how I created my outlining board check out: How To Outline Your Novel With A Bulletin Board and Part 2: How to Outline Your Novel With a Bulletin Board. If I’m dealing with writer’s block and need inspiration to start writing but I don’t want to risk wasting time on Pinterest I pull out my phone and open up Plot Generator, pick a genre, then read through the prompts it chose for situation, complication, theme and detail. That’s usually enough to kick my creativity into gear. I try each day to slip in some random writing exercise to strengthen my writing muscles, spark creativity and to just keep writing. An app I use for fast fun writing prompts on the go is: Writing Exercises and Prompts. Ok, this last tool might seem a bit weird. I use a time tracker app called, Timesheet – Time Tracker . Why you might ask? Well, I have this weird desire to know just how long a book has taken me to write from conception, research, writing the first draft, through editing and revisions all the way to publication. As of right now I have tracked 1,472 hours with Destiny Be Damned. That’s over two months of pure writing spread out through 2 1/2 years. Not the best progress for someone who wants to make this a career but I am learning everything as I go along. Finally, the last tool that has become as integral to my writing as my keyboard, is ambient sound. Did I catch you off guard there?? I live in a house that is occupied by 6 human beings. Two are my children and 4 are adults (myself, my husband, my mom and a nephew). Three of us work from home so you can imagine why I would need noise canceling headphones that pump out ambient sounds at max volume. Sometimes I use musical scores from movies but lately ambient sounds are what I need to focus and concentrate clearly on what I’m writing or reading. I use YouTube to find a variety of ambient sounds and I’ve gathered my favorite ones on a playlist titled: Ambient Sounds for Writing. What writing tools could you not live without? Do you have any writing books, tool or apps you would like to share? Have you tried ambient sounds as a tool to help concentrate? If so, what are you thoughts on it? This entry was posted in #curvywriter, Uncategorized and tagged Ambient Sounds, Android, Apps, Bulletin Board, Darla G. Denton, Google Play, Martha Alderson, Microsoft Surface, Office 365, OneNote, Outlining, Pinterest, Plot Generator, Story Structure Architect, The Plot Whisperer, Timesheet - Time Tracker, Victoria Lynn Schmidt, Whisperer Workbook, Word, Writing, Writing Exercises and Prompts, YouTube. Bookmark the permalink.